In this excerpt from the video, “How to Listen: Compressor Edition,” Fab Dupont focuses on listening to a critical compression parameter: the attack time. He starts by playing a four-measure vocal line, with two different compression settings. The new setting feels a little further back and not as present. He’s using the same compressor plug-in, Sonnox Oxford Dynamics plug-in on both, with the same ratio and threshold, but the big difference with the new setting is that it has a very fast attack time. 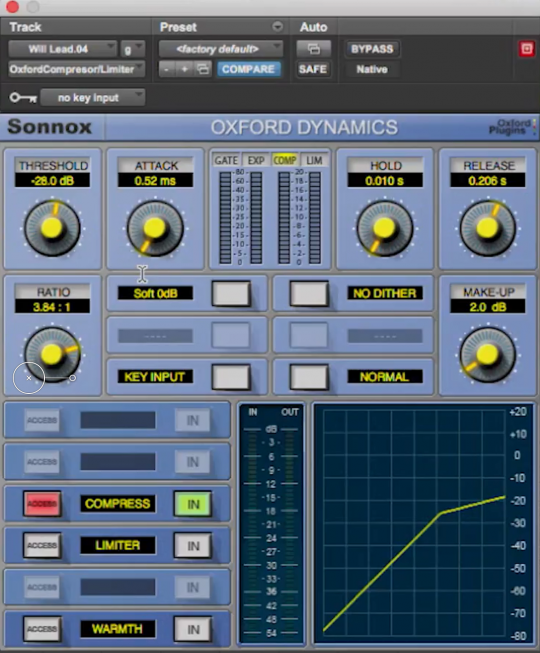 Here you see the settings on the Sonox Oxford Dynamics plug-in that Fab uses in the video to demonstrate the effect of an overly fast attack setting. The attack parameter is quite powerful and can have a significant impact on your audio. It governs how quickly the compressor acts on a sound that exceeds the threshold. That means that a compressor with a fast attack time setting will squash the transient of a note or percussive hit, whereas that same setting with a slower attack is more likely to let that transient pass uncompressed and, instead, attenuate the sustaining part of the note or hit. Clockwise from upper left, here are notes from a trombone, an upright bass, an acoustic guitar and a kick drum. The louder part at the beginning of each is the transient. Fab says that the new compressor setting, with its faster attack, sounds like it’s pushing the vocal further back. He says it totally changes the vibe. He points out that on a lot of mixes, you’ll hear the vocals processed by a compressor with a fast attack setting that causes the transients to get squashed. 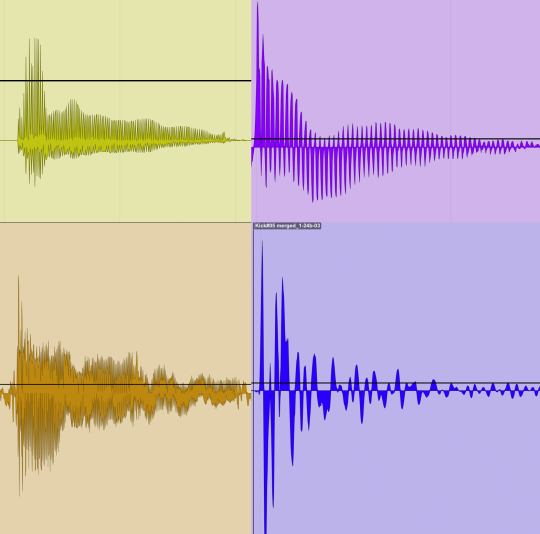 Reducing the transients like that can cause a vocal to sound like it’s further back on the soundstage. Fab says he hears this a lot with mixers that use SSL channel strips (or plug-in emulations), because the compressor only has two attack options, Fast (1ms) and Slow (auto-sensing). When it’s set to the former, it can definitely impact the transients. He compares the vocal with the two different settings yet again, this time specifying what the attack times are: 10ms on the original setting, and 0.52 ms the second. Again, he notes that the version with the faster attack is less present, and less textured. By less textured, he means that the dyanmics are overly homogenized. Overall, his observation is that the attack setting is as important to the sound of compression as is threshold or ratio. He stresses that when you hear something that sounds overcompressed, it’s essential to train your ears to be able to tell whether the excess of compression is coming from too much compression or too fast an attack. Fab’s video focused on the effect of the attack time parameter on vocals, but, as you might expect, it’s also a consideration when compressing any instrument with a sharp initial transient. Drums and percussion clearly fall into that category. So do guitars and basses played with picks; as well as horns, pianos and more. If you look at the image below, it shows a single-note electric guitar part played with a pick. The top (red) is the original track with no compression. Notice the transients are significantly louder than the sustain portions of the notes. 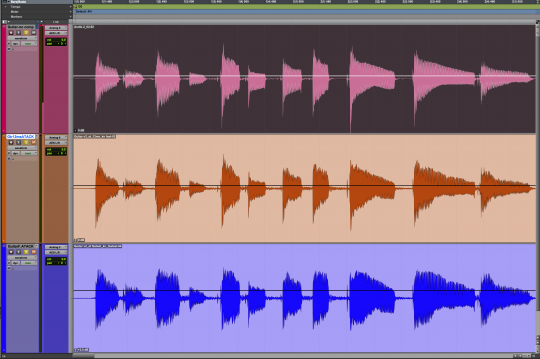 The middle (orange) is the same track with a Pro Tools Dyn3 compressor featuring a relatively slow, 12ms attack. As you can see, the transients remain pretty much intact. The bottom (blue) has the same compressor and settings, except that the attack is at its fastest setting. Notice that the initial transients of the notes are much less pronounced. The blue track at the bottom was processed with a compressor with a fast attack. EXAMPLE 1: In this example, you’ll hear a two-measure phrase repeat three times. The first time there’s no compression, the second time is processed through the Dyn3 compressor with the 12ms attack and the third time is the same except the attack is at 10us (microseconds), its fastest setting. On that last one notice how the transients have been softened so much that you can’t hear the pick attack of the notes. It even sounds a little distorted, in an unpleasant way, as a result of the super-fast attack time. The bottom line is you need to be careful when setting the attack time. In addition to softening the attack of the notes, it also has an overall dulling effect. That said, there may be times when you want to set a fast attack in order to reduce the transients of the notes or hits in a track in cases where they’re too sharp (perhaps on a snare drum). To preserve the transients of a track, a good rule of thumb is to set the attack time at about 12ms or more. Obviously, that’s a rough setting, and you should use your ears to make the final determination. One final point to remember about compressor parameters is how interdependent they are on each other. For example, you could have a super high ratio setting, but if your threshold is so high that only a few notes get through, the track won’t sound as compressed as would if you have a lower ratio and a lower threshold. Similarly, the attack setting is impacted by the other parameters. The more the compressor is acting on notes, the more you’ll hear the results of a fast attack setting. Changing the release setting, which governs how long the compressor attenuates a note before releasing it, can also have a significant impact on the overall sound. In short, although we rightly focus on particular compressor parameters to achieve various effects, it’s always important to keep in mind how all the settings impact each other.